Facial plastic surgery is designed to refine or improve areas of the face to increase self-confidence. Dr. Samuel Pearl and Dr. Alexander Ereso can attest that facial plastic surgery is not right for everyone. There are certain criteria interested a person must meet in order to be considered a suitable candidate. Here, Bay Area cosmetic surgeons Drs. Pearl and Ereso reveal some of the signs that you are a good candidate for facial plastic surgery. You want to minimize signs of facial aging. If you are bothered by loose, saggy skin, deep creases, wrinkles or jowls, you may be an excellent candidate for facial plastic surgery in the Bay Area. Injectables and skin resurfacing procedures can minimize some of the mild to moderate signs of aging, but if these problems are more serious in nature, a plastic surgery procedure such as faceliftor eyelid surgery is probably the more effective option. You have always been self-conscious of a particular feature. If there is something about your facial appearance that has always bothered you — for example, your nose doesn’t quite “fit” your face or you inherited your mother and grandmother’s under-eye bags — consider surgical correction. Modifying whatever feature bothers you can dramatically boost your self-image and confidence. For some people, facial plastic surgery procedures like rhinoplasty can improve their mental state considerably. A facial plastic surgery candidate’s health is evaluated thoroughly before recommending surgery. No reputable plastic surgeon will perform elective surgery on a patient that is in poor health. Expect to discuss your current health and medical history with your plastic surgeon during consultation. S/he will ask you if you have any serious health problems such as diabetes, high blood pressure, heart disease and depression. Another indication that you are a good candidate for plastic surgery is that you know what is and isn’t achievable. Candidates that expect perfection will be disappointed and should avoid surgery. But if you have realistic expectations and desire improvement, you are probably a suitable candidate. You understand the risks of surgery. No surgery is completely free of risk. To qualify for surgery, you must understand and accept the risk that something could go awry. Of course, the best way to mitigate these risks is to work with an experienced, board-certified plastic surgeon like Dr. Pearl or Dr. Ereso. Our surgeons will explain the risks of the procedure you are considering and what we do to minimize those risks. To schedule a consultation with Dr. Pearl or Dr. Ereso, please call or email Pearl-Ereso Plastic Surgery Center today. Turning back the clock when it comes to aging doesn’t always mean going in for a surgical procedure. Increasingly patients are turning to other interventions that are less invasive and performed as outpatient procedures with minimal to virtually no recovery time. Dr. Samuel Pearl and Dr. Alexander Ereso are highly qualified to perform an array of specialized procedures that can provide significant anti-aging benefits and make you feel youthful and invigorated. One option for anti-aging results is to get Botox treatment. Botox is comprised of a protein derived from the Botulism toxin that has the ability to relax and paralyze certain muscles and to smooth out the overlying wrinkles. Botox treatment involves a series of targeted injections that temporarily counteract the effects of aging by relaxing the muscles in a specific area. The effects of Botox can be seen within a week of treatment and last up to six months. A variant of Juvederm called Juvederm Voluma has been developed specifically for the mid-face region, and restores age-related volume loss to the cheeks and can last up to two years! The Pearl-Ereso Plastic Surgery Center also offers Kybella injectable treatment, a non-surgical option that targets and eliminates fat underneath the chin. Kybella is made from deoxycholic acid, a substance that occurs naturally in the body. The acid targets fat cells, and literally melts fat away. Results can start to be seen after a month, with final results appearing within three to four months. Downtime after a Kybella treatment is minimal, and side effects can include some swelling and redness that generally only last for a day or two. Dr. Pearl and Dr. Ereso look forward to reviewing all of our minimally invasive non-surgical treatment options with you. Please call Pearl-Ereso Plastic Surgery Center at (650) 964-6600 for a consultation. 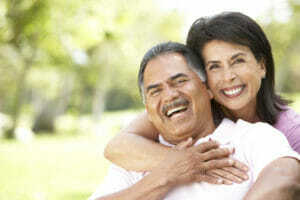 Anyone would take looking younger, happier and more well-rested over looking older, tired and upset. Cosmetic procedures like facelift and brow lift surgery will subtract several years’ worth of aging from the face, but what if you’re not ready for surgery? Not to fret (it causes frown lines anyway!). Dr. Pearl offers non-surgical alternatives to restore a smoother, more youthful look to the face, from top to bottom. Botox, a derivative of the naturally occurring substance Botulinum Toxin A, is used to smooth out fine lines and wrinkles on the face, including frown lines on the forehead and crow’s feet lines on the outer corners of the eyes. This less invasive alternative to facelift surgery temporarily relaxes the facial muscles that contract to cause these lines to form. The Restylane dermal filler, an injectable with a firm consistency, is ideal for filling in hollow areas under the eyes, as well as lessening the appearance of dark circles and under-eye bags. The youthful, rejuvenating effect that Restylane has on the eyes — and the entire appearance of the face — lasts six months or longer. Juvéderm gel has a smooth consistency that, when injected, adds volume to the area being treated, dramatically reducing or eliminating the appearance of wrinkles in that area. This transparent filler made up of biocompatible materials effectively fills the fine lines that form around the lips and mouth with age. It is also ideal for lip augmentation, giving the mouth a plumper, yet natural-looking, pout that is reminiscent of youth. Voluma is a dermal gel filler that is most often used in the cheek and jaw area, in order to fill out a hollowed-looking face (an effect that sometimes occurs as we age). This filler, which is injected deep within the facial tissue, supports the overlying skin and results in accentuated, filled out cheekbones and a sleeker jawline. And these beautiful results can last up to two years! For better overall skin texture, Dr. Pearl offers Fraxel Skin Resurfacing, a revolutionary skin care treatment that merges laser technology with dermatology to erase skin damage and restore a more supple texture to the face. This FDA-approved treatment is used on acne scars, stretch marks, large pores, wrinkles and uneven skin pigmentation. Fraxel uses pinpoints of laser light to penetrate deep into the skin’s surface, eliminating damaged skin cells and promoting new skin cell growth in their place. It is safe and effective for all skin types. At Pearl – Ereso Plastic Surgery Center, we also offer our patients the SilkPeel® Dermalinfusion skin care procedure, which is similar to microdermabrasion in that it exfoliates the topmost layers of the skin. However, unlike microdermabrasion, it also employs the soothing and smoothing effect of any number of topical serums hand-picked for your specific skin care needs. If you’re unsure about what skin care treatment would be right for you, contact our office to schedule a skin care evaluation so that we can personalize your treatment. We also offer home treatment programs tailor-made for treating skin conditions and restoring a healthy, more youthful glow to your skin. To find out more about our non-surgical treatment options for beautifying the face, schedule a personal consultation today with Dr. Pearl by calling our Mountain View office at (650) 964-6690. 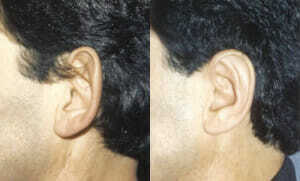 Otoplasty is a procedure to improve the shape or position of the ears. It is commonly performed on ears that: a) are large in proportion to the rest of the facial features; b) protrude to a significant degree from the head; or c) are irregularly shaped. Dr. Samuel Pearl offers otoplasty at his Mountain View plastic surgery practice. He would be happy to meet with you to discuss the procedure in further detail and to determine whether it is a good fit for your needs. Otoplasty candidates should be physically and psychologically healthy, not smoke and not have any life-threatening medical conditions that could affect the surgical healing process. Ideally, candidates have a positive outlook regarding the surgery and reasonable goals and expectations that can be clearly communicated to Dr. Pearl. Is Otoplasty Safe for Children? Otoplasty may be safely performed on children, adolescents and adults. Performing otoplasty on a child can prevent possible psychological trauma from classmates’ teasing or bullying. It is recommended that children seeking otoplasty be at least 5 or 6 years old before undergoing surgery — by that age, the ear cartilage is stable enough for correction. Young candidates will be carefully screened to ensure they are cooperative and can follow instructions. Otoplasty is generally performed on an outpatient basis. Anesthesia medications are used for patient comfort. Dr. Pearl will make the incisions behind the ear. Through the incisions, he will resize and sculpt the supporting tissue of the ears to bring them into better proportion with the head and/or position them closer to the head (“ear pinning”). Or, Dr. Pearl may correct any structural irregularities, such as “shell ear” or “lop ear.” Non-removable sutures may be placed internally to support the ear’s new structure. When Dr. Pearl is finished making the surgical modifications, he will close the incisions with sutures and place soft dressings. Following surgery, the ears may feel numb. Also, there may be mild swelling or bruising. These side effects will improve with time. Any pain can be controlled with oral medication as prescribed by Dr. Pearl. It’s important to avoid straining, bending, heavy lifting or any activities that could result in sudden, harmful contact to the ears. Dr. Pearl will advise when it is safe to return to school or work, exercise and other normal activities. 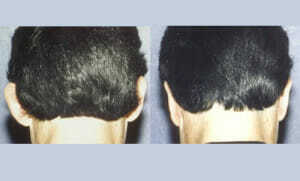 Once the ears have healed, they will look more proportional to your head and well positioned. Any irregularities in shape will be corrected. Over time, scarring will fade. Any visible scars will be hidden within the natural creases of the skin. To learn more about otoplasty, please contact our office and schedule a consultation with Dr. Pearl. Call (650) 964-6600 or send us an email at pearlmd@pearlmd.com. At our practice, we’ve seen the incredible rejuvenating effects of dermal filler injectable treatment. However, one of the downsides of dermal filler treatment is that it often leads to bruising and swelling. With the DermaSculpt Microcannula, we can now administer injections of dermal filler with 70-percent less bruising (and other added benefits!). We are pleased to offer this revolutionary treatment to our patients who want a younger and more vibrant-looking facial appearance, with minimal side effects. What Is the DermaSculpt Microcannula? The DermaSculpt Microcannula is a small, flexible tube with a rounded tip that we use to inject products such as JUVÉDERM™, Restylane®, Radiesse® and SCULPTRA® into areas of the face. Thanks to the Microcannula’s unique design, the filler is delivered into the treatment area via a single point of entry but can reach a wide range of coverage. What Can the DermaSculpt Microcannula Treat? The DermaSculpt Microcannula causes minimal pain (if any) both during and after treatment. By nature, the Microcannula is significantly less traumatic on the blood vessels and nerves than traditional dermal filler treatment. It causes 70-percent less bruising and swelling, as well as minimal downtime and post-operative discomfort. Treatment with the Microcannula is optimal for patients who are on-the-go and don’t have a lot of time to recover from injectable treatment. Additionally, the Microcannula enhances the precision and accuracy of dermal filler treatment. With the Microcannula, we are able to target two — and sometimes three — treatment areas through a single injection port. Also, the overall time of treatment is significantly reduced with the Microcannula. If you’re interested in having your dermal filler treatment performed with the Microcannula technique, please contactDr. Pearl’s office by calling (650) 964-6600. Dr. Pearl and our skin care team are pleased to offer a range of luxurious skin care products, including the SkinMedica TNS line. These products are specially formulated to repair skin damage, promote healthy cellular function and protect the skin from harmful elements. TNS products rely on growth factor technology to erase visible signs of aging around the face. Growth factors are special proteins that trigger the production of new cells, collagen and elastin — all of which are vital to improving the appearance of the skin. They also contain traditional anti-aging ingredients, proteins and collagen. The combination of these ingredients changes the quality of the skin from the inside out, making it stronger and less susceptible to outside elements such as the sun. SkinMedica products are not sold in retail locations like Sephora or Ulta; they are only available through an approved physician’s office. Dr. Pearl and our aesthetician, Carol McDonald, have a unique understanding of the body’s healing and restructuring processes and use their expertise to recommend suitable SkinMedica products for your needs. We will analyze your current skin care routine and skin condition, and ask you about your skin care goals (e.g., fewer wrinkles, more even skin tone). Based on this information and information about certain lifestyle factors, we will put together a customized product regimen to help you achieve and maintain your best skin yet. If you’d like more information about TNS by SkinMedica, or you would like to schedule a skin care analysis with our aesthetician and skin care specialist, Carol McDonald, please contact our office at (650) 964-6600. For the past 10 years, Fraxel has been the gold standard of fractional skin resurfacing. Dr. Pearl and our staff have been able to treat many common skin imperfections and irregularities with the technology. Given that Fraxel treatment is so popular, we receive many questions about it. Dr. Pearl has compiled the most frequently asked questions below. The 1550 wavelength erbium fiber laser penetrates the deep layers of the skin, and the 1927 wavelength thulium fiber laser treats the superficial layers. We can easily switch between the two wavelengths during treatment, depending on your needs. The Fraxel laser creates microscopic injuries in the skin, removes damaged skin and stimulates the body to produce fresh skin cells. Fractional laser skin resurfacing creates microscopic injuries in a portion, or “fraction,” of the skin; this triggers the body’s natural production of collagen. The pattern of micro-injuries leaves undisturbed tissue intact between the injuries, which enables quicker healing with minimal downtime. As more collagen develops, the skin starts to look smoother and healthier, and flaws become less visible. How many Fraxel treatments do I need? Studies show that on average, three to five sessions spaced two to four weeks apart are most effective. Depending on your needs, we may recommend spacing the treatment sessions further apart. You should notice some improvement immediately, continually improving until optimal improvement is reached after one to two months. No, Fraxel treatment does not hurt. Before starting treatment, we will apply a topical anesthetic to the area to be treated. You may feel some heat during treatment, but this is minimized by a chilled spray of air using the Cool Roller tip technology. Some patients have described a sunburn sensation after treatment, which can be soothed by applying cold compresses. What is Fraxel recovery like? The Fraxel re:stor laser is designed to produce great results with very little downtime. Besides the sunburn sensation and mild redness, there are very few reported side effects. Generally, the 1927 wavelength is more tolerable to patients because it only treats the superficial layers of the skin. To learn more about fractional laser skin resurfacing with the Fraxel re:stor system, please contact Dr. Pearl’s practice by calling (650) 964-6600.